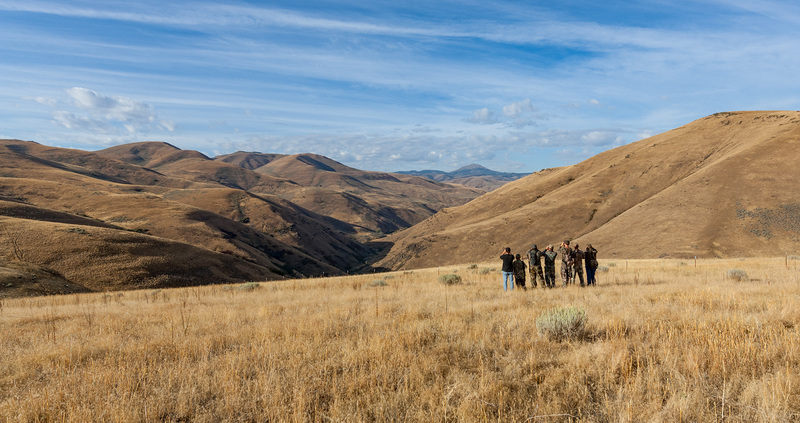 In 2009, we joined with the Treasure Valley chapter of Pheasants Forever to start a Turner Ranch youth-only hunt. The hunt is during the normal waterfowl and upland game hunting season. Youth hunters must register at the Turner Ranch sportsman access before each hunting trip. Visit Idaho Pheasants Forever for more details on the youth hunt. Turner Ranch youth hunt rules align with Idaho Department of Fish and Game’s. The Clayton A. Turner Ranch (Turner Ranch) is one of six “Idaho Century Farms” listed by the Idaho Historical Society for Owyhee County. John and Emma Turner are credited as the first Euro-American settlers in the Bruneau Valley. But, Benjamin Hawes and his family settled Turner Ranch first. They produced hay and raised cattle. Benjamin’s son, Joseph, married John and Emma’s daughter, Adelaide, and they moved into the house in 1897. The Turners became owners of the property in the late 19th century and added land until the mid-20th century. Land management at Turner Ranch has created a quality habitat for upland birds and waterfowl. Idaho Power and the C.J. Strike Wildlife Management Area (WMA) advisory committee review Turner Ranch land management practices yearly. Idaho Power manages the area with public interests in mind. We clean up the land, control weeds, and build and remove fences. In the future we will continue to control weeds and care for riverbank habitat.